Mass production of the 10th generation Japanese hatchback started in early August 2016. And in early autumn, buyers from the United States of America were able to appreciate the novelty. Externally, the hatchback in the front of the body is identical to the sedan. It has a sporty and dynamic look. The car is equipped with LED headlights for stylish illumination of a narrower shape, a sports grille and a front bumper with a massive air intake. In general, thanks to a more compact size and silhouette of the body, the hatchback looks more sporting than a platform sedan. At the rear Civic is decorated with lanterns of the original form and two spoilers, giving it an even more aggressive appearance. Rear bumper is supplemented with air intakes and two exhaust pipes with chrome lining. – wheelbase – 2700 mm. Compared with the previous generation, the hatchback has become slightly longer and 25 centimeters lower. Manufacturers claim that reducing the height should not scare buyers of new items. This does not affect the ease of embarkation and disembarkation, since the height of the seats also became less. In the car there is enough space for the legs, both in the first and in the second row of seats. It can comfortably accommodate five people, including the driver. For buyers are available 5 different versions of the Japanese hatchback. Three configurations – LX, EX and EX-L – with a standard 1.5-liter engine, as well as two versions of Sport and Sport Touring with an engine of increased power and sports body kits. For some versions, there is a choice between the variator and 6-speed manual transmission. – electronic parking brake and many other modern options aimed at the convenience and safety of driving. 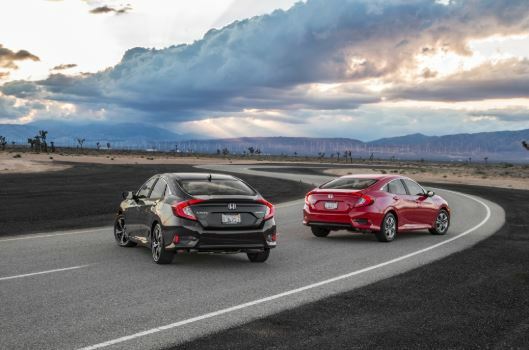 For the new generation hatchback, two engine options are available. Both of them have a turbocharger and a volume of 1.5 liters. Power – 174 and 180 horsepower. Fuel consumption for a 174 hp engine is only 6.5-7 l / 100 km in the combined cycle. 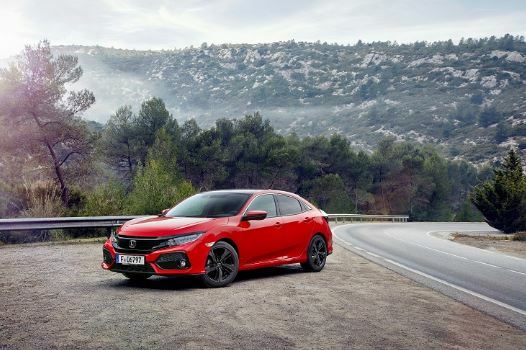 In the near future, it is planned to release a “charged” version of the hatchback – the Civic Type R with a powerful 2-liter turbo engine with a capacity of over 300 horsepower. The car is equipped with the latest active and passive safety systems, such as ABS, adaptive cruise control, parking assistant, blind spot monitoring system and many others. Car sales in North America started in September 2016. A modern hatchback appeared on the European market a little later – at the beginning of 2017 and received an extended engine range. It is reported that the cost of new items for the US market starts from 20 thousand dollars.